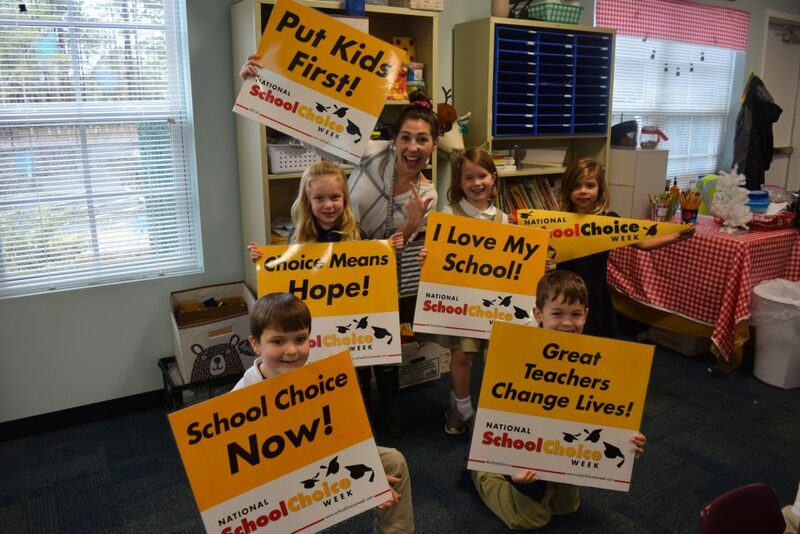 Charter Day School Celebrates School Choice! You are here: Home » Blog » Charter Day School Celebrates School Choice! Charter Day School kindergarten students Eli Thomas, Ivy Becker, Charlotte Hope Tuttle, Raelynn O’Neill, and Wyatt Mooney celebrate School Choice Week with their teacher Ms. Mclaughlin. Charter Day School is Enrolling Now!